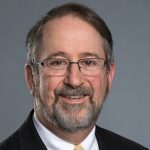 I’ve been blessed to do some amazing travel in my life, and that was not what I expected when I answered the call to be a United Methodist pastor. I have traveled to 49 states in the U.S., and I have visited Russia, China, Korea, Brazil, the Philippines, West Africa, and Europe. I’ve been to the Holy Land twice. In retrospect, it was the trip I returned from recently that I would characterize as a pilgrimage – one that was deeply tied to my faith and discipleship. 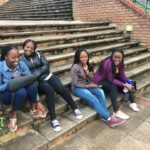 I visited Africa University in Mutare, Zimbabwe. The statistics are astounding: over 7,000 graduates, with almost 2,000 students presently enrolled, representing 29 different countries – and 56% of the current student population are women! 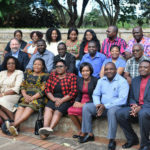 This was part of a training trip designed to help leaders in the United Methodist conferences in Southern Africa better interpret to congregations what it means to be a connected church, as these conferences are participating in giving to support two of the seven general funds of the church. 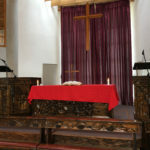 Many churches outside the U.S. have in the past contributed to these funds; however, in this quadrennium, these conferences are being apportioned an amount from the general church. For seventeen years, in a variety of places and roles, I have been talking with church leaders about the remarkable impact we are able to have in our church through the ways we work and give together through our connection. Africa University has been the “God-sized dream” I often referred to as an example of something we have been able to accomplish together that no one church could do on its own. Citing statistics on enrollment and graduation, as well as the number of countries in Africa that send students and the kind of work the graduates do when they go back to their homes, I’m aware I often speak as if Africa University is nearby, in my own neighborhood, or something I drive by every day on my way to work. Until this year, I never had the opportunity to visit the university. I taught in a classroom; I worshiped in the university’s beautiful chapel; I visited the library and the innovation center located next door; and I dined alongside students in the dining hall. Most of all, I was greeted by the students who went out of their way to say “hello.” Their faces were full of gratitude for the opportunity that has been given to them through Africa University and the unfailing support that has come from United Methodist congregations in the United States. So I come back from the mountaintop with this simple message: through Africa University and the support we have given through connectional giving, the future of this great continent has been changed. 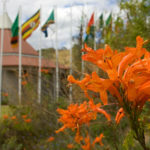 Africa University and The United Methodist Church have made a difference. I brought home dirty laundry and two new AU t-shirts, but also mountains of gratitude from students and alumni of AU with whom I spoke on my trip. It is an amazing story to tell and one I can share now with new authority! You made the dream of Africa University a reality! The giving done by you, and your congregation, and your annual conference brought it into being, and sustains it even today!